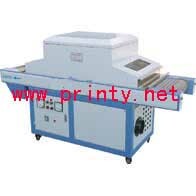 Padprinter Machinery Company Limited is China professional manufacturer & exporter of fully automatic and semi auto screen printing machine, pad printer machine, hot stamping machine, heat transfer machine, uv curing machine, flexo ribbon printing machine, offset label printing machine, exposure units, flocking machine, flame treatment machine etc. Specially designed to cure the UV inks for a flat sheet. Professionally Manufacture Wholesale and supply Small UV curing machine, Flat uv curing equipment, UV curing oven, High quality UV curing machine, UV cure equipment, Professional UV tunnel dryers.